Sebastian Abraham rose to invincible glory in the most elite boardrooms of New York. He fell like a house of blood-stained cards in the city’s underbelly. Morally bankrupt, emotionally vacant, he surrenders his days to backbreaking stonemasonry work and his nights to chasing the dark. When he opens his house to one woman and his life to another, he can’t resist the constant craving for Delia’s vices and Hope’s virtues. He doesn't deserve either. And he won’t deny himself what he doesn’t deserve. Delia Merritt sacrificed the unspeakable to get an education. Now she’s on the brink of a law degree…and on the edge of losing herself. For Seb, she’s the easygoing roommate. For Hope, she’s the best friend. But for her, they are survival. Kisses taste like euphoria. Naked touches feel like gravity. Volatile pleasure redefines her. A bed flavored with the secrets of three damaged people is where Delia belongs—but hers are the kind that wound, break, and could shatter them all. 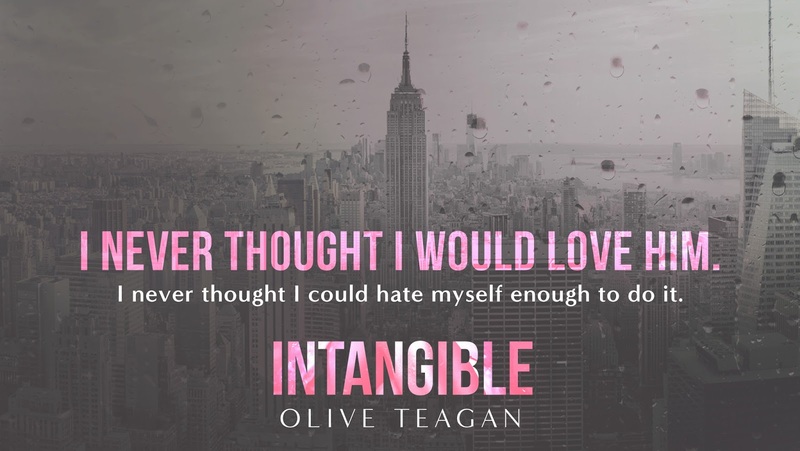 Olive Teagan is the author of the twisty, lush novels Intangible, The Grind, The Lying Hours, and the emotionally sharp Compass River series. She writes acerbic and tantalizing fiction that explores human nuance, fluid morality, and the imperfection of love. All the world's a love story.